ATS Grandstand is the latest residential project by ATS Grandstand in Gurgaon Sector 99A Gurgaon and its on upcoming Dwarka-Manesar expressway ATS Grandstand Gurgaon Extended over an area of 12.58 acres, this development consists of 9 beautifully crafted high-rise towers and a total of 700 residential units. A home built for those who live their journeys in broad strokes of vivid colors. A home built just right for inspiration, enjoyment, and zest. 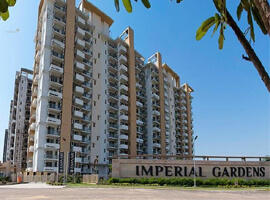 Conveniently located along the edge of an already constructed 75 meter road off the Dwarka Expressway in Sector 99A. ATS Grandstand Gurgaon, designed with wide open outdoors landscaped with trees, welcomes you back to the soothing sounds of nature only a short distance from the metropolitan conveniences of Delhi and Gurgaon. ATS Grandstand, designed with wide open outdoors landscaped with trees, welcomes you back to the soothing sounds of nature only a short distance from the metropolitan conveniences of Delhi and Gurgaon. Towers at ATS Grandstand that add to the splendour of the skyline, boast of an Art Deco design, which in itself complements a new somatic expression of urban quality existence. Towers at ATS Grandstand that add to the splendour of the skyline, boast of an Art Deco design, which in itself complements a new somatic expression of urban quality existence. An ingenious clubhouse with fully equipped gymnasium, tennis court, squash court, swimming pool, basketball and yoga on the greens one can hardly ask for anything more at such a prime location. With its bouquet of amenities and tastefully designed spaces, ATS Grandstand, we believe, will redefine the concept of finer living. Its time you enter ATS Grandstand with every bit of pride that a luxury house owner has. We welcome you to join us in this journey to Grandstand, ‘an abode just right for perennial inspiration, enjoyment and zest. Project is situated at dwarka expressway, gurgaon having close proximity to all your daily requirement and hospitals, you can easily access universities, Healthcare facilities, schools, colleges, hotels, banks, ATM, medical store, offices, shopping complex, malls, hypermarkets and more. Gurgaon is well connected to the capital city via metro station, IGI Airport, delhi border, dwarka expressway, national highway (NH-8) etc. 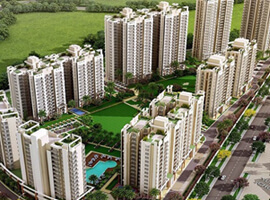 Booking started at ATS Grandstand – available 3bhk and 4 bhk apartments.